In 1970, hippies took over Love Valley for a rock ’n‘ roll weekend. They’re different for everyone, but there are certain sounds — deeply impressed in the soul — that tell us the seasons are changing and warmer weather is here. 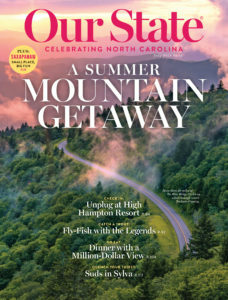 In the air, on land, or in the water, North Carolina’s outdoor adventures get your heart racing. On the banks of the Haw River, a tiny town in Alamance County is enjoying a rural renaissance. 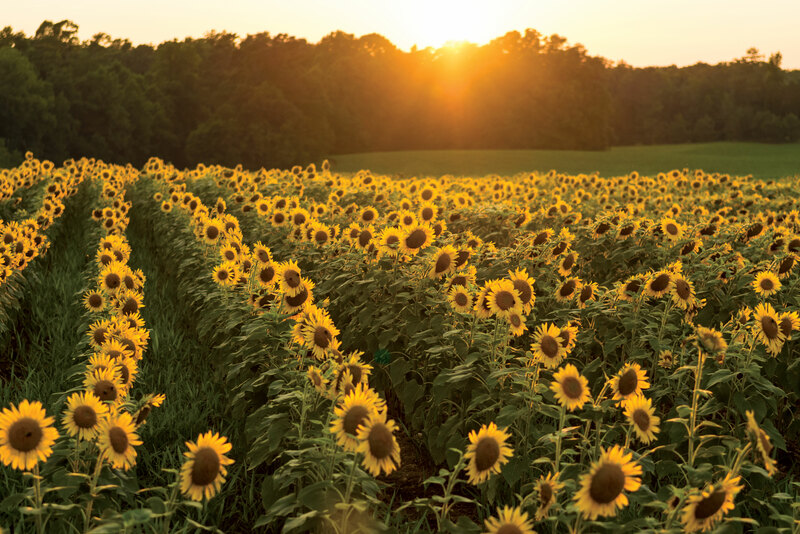 On family land in Lenoir County, a fourth-generation farmer finds beauty and promise in our sweetest summer fruit. At Round Peak Vineyard, raise a glass to the beauty of Surry County. At a men’s clothing store in the heart of uptown, classic designs never go out of fashion. North Carolinians learn at an early age to brace themselves for the chilly thrill of zooming down Sliding Rock and plunging into the cold mountain water at the bottom. The weathered clubhouse that sits on the edge of a farm pond in Randolph County may be faded, but the memories made there are still vibrant. When polio strikes children in the Piedmont, doctors, nurses, and volunteers rise to the occasion to build an emergency quarantine hospital. High Hampton’s mountain charm, relaxed atmosphere, and rich legacy have set the vacation standard for generations. In Sapphire, a majestic box canyon — the largest one east of the Mississippi — provides a feast for the eyes, and the first taste of Canyon Kitchen’s seasonal, sensory experience. Come July, Jackson County wildflowers pop with color. A walk through a quiet cove forest reveals the new blooms of plant species as old as the hills. A young, enterprising couple set their sights on a small town with big appeal. They built their taproom from the inside out, and, 32 brews later, it’s now a local hub. Yes, the state beverage is milk, but our native sodas bring the fizz.